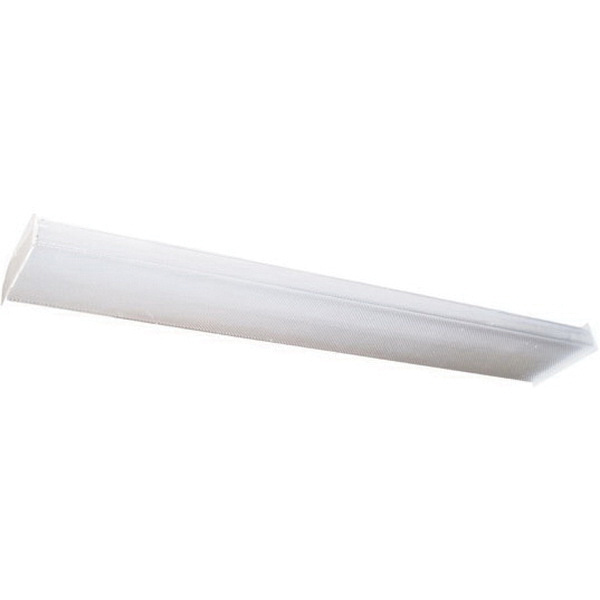 Maxim Lighting Wrap Around EE Collection 2-Light flush mount fixture in white finish, features steel construction. The acrylic white lens creates soft light to the surrounding. This fixture uses two 32-Watt medium 2-Pin 5600-Lumens T8 fluorescent lamps that have voltage rating of 120-Volts and current rating of 420-Milli-Amps. It measures 48-Inch x 9-Inch x 2.5-Inch. Fixture meets California Title 24 requirements.